There is no rhyme or reason what I choose to write about, or how often. My intentions when I sit down at my laptop are simple. Go through the hundred or so emails I get every day, and do some other things around my apartment. But like an attention span the size of a flea, I get distracted quite easily, and then I click on to “Paul’s Heart” and write. Well, it happened again. A link to an article about a famous NY Times journalist, David Carr, broadcasted that Mr. Carr had died from complications of lung cancer. Okay, nothing really all that unusual as people die from lung cancer all the time. But as I looked more into the article, because a friend had noticed something unusual about Mr. Carr’s past, I began to wonder. Between the original article, and others that I read, Mr. Carr, had been diagnosed with pneumonia previously and had died some time after that. The article also mentioned that cardiac disease had contributed to his death. And for some reason, the article needed to mention a bout with drugs and rehab. Again, to the average person, nothing really stands out about Mr. Carr’s death. But at the end of the article, in a “by the way” mention, Mr. Carr also battled Hodgkin’s Lymphoma. And to the average journalist, this is no big deal, and may not have been worth the ink and paper it was printed on. There have been plenty of famous people who have had Hodgkin’s Lymphoma and lived, and died. But because Hodgkin’s is a rare form of cancer, it rarely gets any attention. And one of the only things that really gets less attention than that, are the late effects that Hodgkin’s patients develop, who were treated for Lymphoma well over a decade ago. The sad thing, is most long term survivors have no idea, that many of the ills that they face today, probably have direct ties to the treatments that saved their lives years ago. And the medical books do not necessarily help our cause either as protocols were never in place years ago to follow up on us to see things as they developed. After all, statistic really only matter when it goes up to five years. Studies did not follow any further than that because I guess we were not supposed to live longer and develop severe issues. You can read up on mine, found under the “pages” section of this blog and compare the only things I had been warned about 26 years ago, risk of a secondary cancer and pericarditis. In my case, not even close. But back to Mr. Carr. I am going to just throw this out and see if it grows wing. 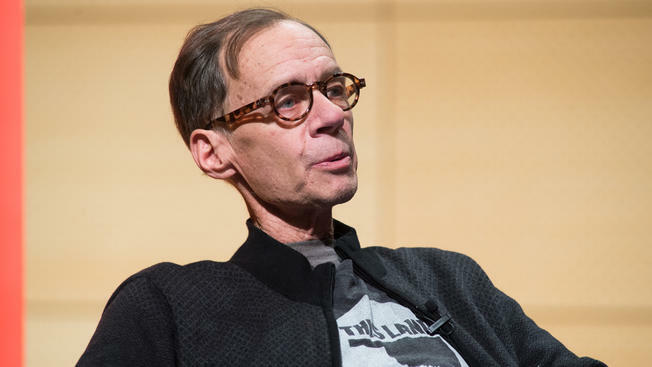 David Carr was a Hodgkin’s Lymphoma survivor. And I believe that there is a likelihood that his death may have been related not just to the lung cancer, cardiac disease, and the pneumonia, but also from late effects from his treatments. And I know many people, okay, mainly long term survivors like me, who would feel the same way. Now before everyone goes into a tailspin, treatments today are much more safer and pinpoint more accurately than when I was treated, and perhaps when Mr. Carr was treated (I have pinpointed his treatments somewhere before the turn of the century). First, as many long term Hodgkin’s survivors will point out, just from the physical appearance, is a term we refer to as “Hodgkin’s neck”. This comes from muscle loss as a result of the extreme radiation exposure during treatments which I am guessing he was treated with. The article does not mention radiation or chemo treatments, but this is fairly obvious. I would also probably guess, given that amount of loss he probably also had thyroid issues, common among Hodgkin’s survivors. There is pain and control issues that come with this physical deterioration over time. For many, the head begins to fall forward, again something we commoners refer to as “drooping head syndrome”. I talked about this in an earlier post last year. I have similar muscular loss, which I have written about, though not nearly as severe as Mr. Carr’s condition. I also have a major amount of muscle loss in my upper torso. But I think Mr. Carr’s long term issues went much further than that. And even if it were assumed that he only underwent radiation treatments, which I would guess he may have gone through chemo, the scope of damage from late effects can also contribute to pulmonary issues and cardiac issues, of which I and many others face. Chemo late effects can also complicate things even more so. There is a chance that Mr. Carr was never followed up for developing late effects. Things may have just been chalked up to circumstances. He did drugs. He had cardiac disease. He had pneumonia. He had lung cancer. So let me start the argument. With the exception of drug use, the other three issues can have direct ties to late effects from treatments of Hodgkin’s Disease. Radiation has a growing and lasting effect and chemo can also impact the cardiac system. Like so many including myself, that would be a “yes”. Depending on the diagnostics used on Mr. Carr, if he had his spleen removed, he had an increased susceptibility to illness, and even if he did not have the spleen removed, the cancer of the lymph system has an impact on the immune system. Again, so many of my fellow survivors have multiple bouts of pneumonia from this situation, several develop pneumonia a few times a year. I had two bouts in 2012. And then of course, there is the risk of the secondary cancer. But was David Carr being followed up post Hodgkin’s? There is no mention anywhere. And it is sad, that this is not even mentioned anywhere. Because if it were not for a few of us “pioneers” and I do not even mean me, but the many before me who were the first to have their side effects tied to treatments, cancer patients today would not be followed up as closely as they are after treatments are done. I do not mean to disparage David Carr, but for those of us who have had Hodgkin’s Lymphoma back in the 1950’s through the 1990’s, if his death was in any way related to late developing side effects from his treatments, I wish there was some way that this could be known and made public. There are so many of us survivors out there who are aware of the issue of late developing side effects, and literally millions more who are not. And when they go to their primary doctor, or even specialist, depending on how recent their education was earned, the tie to their Hodgkin’s past may never be made.